New research from its parent company, Facebook, on consumer perception of brands on the platform has produced some interesting findings. The latest report examines how Instagram can drive different levels of audience action, from the initial discovery of the brand to even influencing purchase behavior. Data gathered from this study is based on 21,000 Instagram users between the ages of 13-64, all that have reported engaging with the platform at least once a week, and users were selected from 13 different countries, giving us an idea of how Instagram influences users across different cultures. Findings from this comprehensive report make it clear that social media marketing, especially that on Instagram, shouldn’t be on the backburner, especially for B2C companies. The study found that just your brand simply being on Instagram can have a positive impact on how audiences perceive your brand. They found that consumers view brands on Instagram as more popular (78%), relevant (74%), creative (77%), entertaining (76%) and committed to building community (72%), than those that are not. The results speak for themselves here. Creating an Instagram account is easy and it’s clearly a quick-win for boosting your brand’s appeal to your audience. For companies that are unsure of how to jump into the process, Facebook offers several “blueprint” classes that can help brands get started. Check them out here. Participants also reported using Instagram in each key stage in the buying process. For example, they used the platform to discover what’s currently trending through the explore page, hashtags, or influencer profiles, research products using posts from brand accounts and comments, and even used it to make the decision if they wanted to buy the product or not, sometimes even making the purchase on the platform. The key to any successful digital marketing strategy is to meet people where they’re already looking. 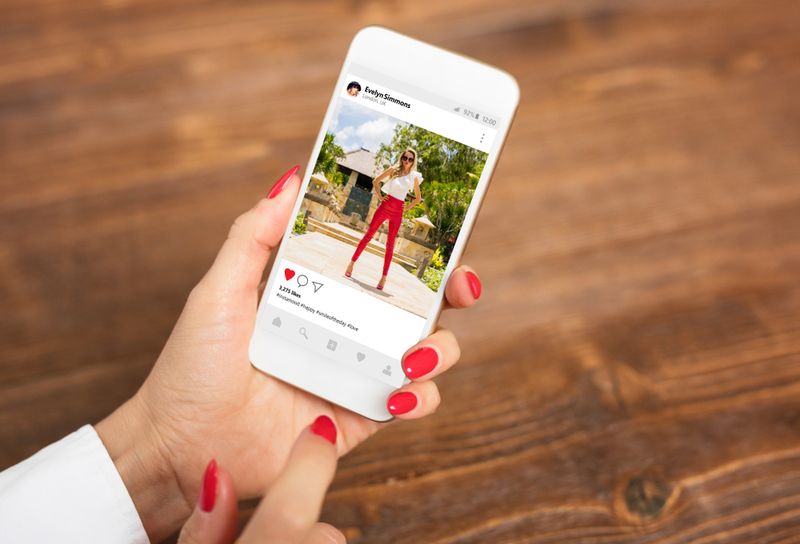 As such, if consumers are using Instagram throughout their buying process, make sure your strategy includes touch points that speak to them as they move through it. As a marketer, you can do this by crafting posts for each of these individual stages and working them into your overall social media strategy. Reach users in the discovery stage with targeted ads, utilizing hashtags, or partnering with relevant influencers. Reach users in the consideration stage by posting testimonials from loyal customers, product reviews, or specific product details that will aid their research process. Reach users in the decision stage with posts that prompt them to take action. Announce sales, exclusive discount codes, or limited time offers that will compel them to pull the trigger and make a purchase. Interestingly, 87% of the study participants reported taking action after seeing product information on Instagram. Of course, these actions varied depending on their current stage in the buyer’s journey, but they did all offer significant brand interactions that would be impossible without the use of the platform. These include following the brand’s Instagram account, visiting their website, or even making an online purchase. 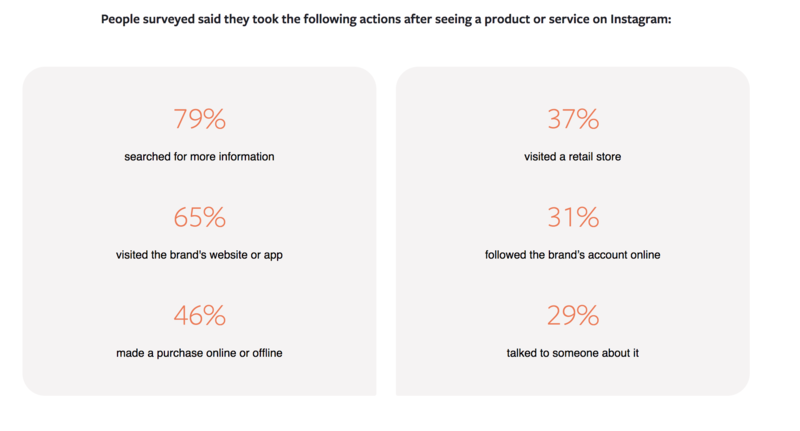 Some users reported reading comments on company photos to gauge community opinion of the brand, while others browse a brand’s tagged photos to see others using or wearing the product and some browse hashtags (either product or brand-specific) to get more information. Social media is becoming so much more than a brand awareness tool. Referral traffic is no longer the only effective way to view the effectiveness of your social media marketing strategy. The findings of this report show that a user can do virtually all their discovery, research, and even make the decision to buy your product on Instagram without ever going to your website. In some instances, they can even make their purchase without leaving the platform. Marketers should be hyper-aware of this and evaluate their current Instagram strategy to see where they can improve.